What is a Consent Decree of Dissolution of Marriage? Divorce does not have to be a battleground. State courts generally do everything they can to help spouses avoid ugly litigation. In 2010, New York become the final state to recognize no-fault divorce so blame for the demise of a marriage no longer has to be an issue. All jurisdictions encourage spouses to try to resolve their marriage on their own terms before a court will rule on their divorce, also called a dissolution. If spouses can accomplish this, they can divorce by consenting to terms that resolve all marital issues. The result is a consent decree. The dissolution of a marriage begins with the filing of a complaint or petition. Depending on where you live, this document may be called one or the other. In either case, it opens the litigation. Some states, such as Nevada, allow you and your spouse to file a joint petition if you have already resolved all issues between you. In others, such as Arizona, you must file a petition on your own, but your spouse does not have to file a response if he is not contesting any aspect of your request for divorce. States that provide for joint petitions may ask you to memorialize your agreement within the petition, writing out and including all the terms you and your spouse have decided upon. At some point during your dissolution proceedings, you and your spouse must reach an agreement and commit it to writing if you want to divorce by consent. This agreement is usually referred to as a marital settlement agreement, but in some states, it is called a property settlement agreement. By any name, it is a comprehensive document that details a complete resolution of your marriage. If you have children, it must address custody, child support, visitation, medical insurance and unreimbursed medical expenses. If one of you will pay alimony or spousal support to the other, your agreement should state how much and for how long – otherwise, it should waive this provision. You must divide all your property between you, as well as responsibility for marital debts. A settlement agreement is a binding contract after you and your spouse sign it, but it cannot actually divorce you. You must take an additional step to have your agreement approved by the court and converted to a court order. This procedure can differ by state. In Arizona, you must file your agreement as a Stipulation to File Consent Decree, which, if approved, the court will attach to a decree of dissolution. Other states will also simply attach your settlement agreement to a divorce judgment; you are still divorcing by consent, even if the title of your judgment or decree does not actually say so. In Nevada, your decree will include by reference the terms you have already listed in your joint petition – the decree does not actually repeat them, but it states that they are binding on you and your spouse. In Minnesota, you must repeat all the terms of your agreement in a stipulated decree for submission to the court. Stipulated means the same thing as consent – you and your spouse have agreed on the terms by which you will dissolve your marriage. 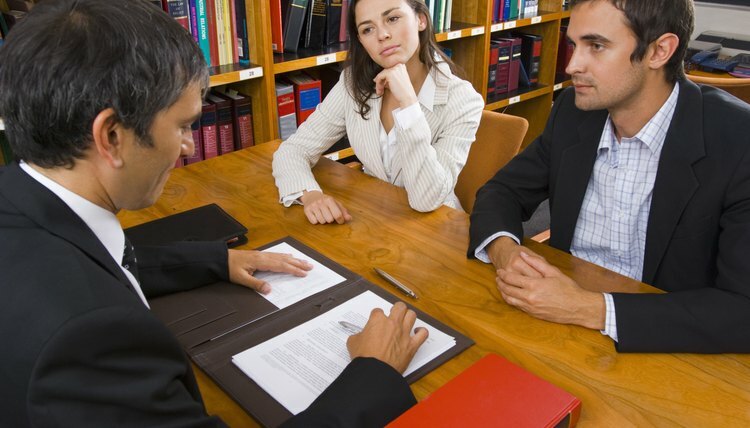 It is not uncommon for a divorce or dissolution to begin as contested, but end by consent. You and your spouse can continue trying to hammer out an agreement while you go through the usual steps of a litigated dissolution proceeding. You can usually settle right up to the eleventh hour, before you step into a courtroom for a trial. When you reach an agreement, you can then go through your state's procedure to have it approved by the court and turned into a stipulated or consent decree. Judges typically approve settlement agreements at any stage of the process unless they are egregiously unfair to one spouse or the other or do not provide adequately for your children. If you're divorcing in Colorado, the process is going to take at least three months because the state will not grant a divorce until 90 days after one spouse files for divorce and serves the other with a copy of the papers. If your divorce is contested, it will take longer. However, the wait may not be as long as in other states because Colorado's divorce procedure includes several deadlines for moving cases through the court system in a timely fashion. The exact procedures of divorce vary between states, but divorce can be a fairly simple process if you have an uncontested divorce. For a divorce to be uncontested, you and your spouse must agree on the reason for the divorce and the terms of the settlement, such as property division, child custody and alimony. However, if you and your spouse contest, or dispute, the terms of your divorce -- or the reason for the divorce itself -- the process may be longer and more expensive.